Android 2.3 Gingerbread still has a very decent market share when it comes to Android OS, and is still installed on over 20 percent of the Android devices that are in the market. Recently, Blackberry announced they heard the woes of all those still using the old Android 2.3 Gingerbread and are cooking an update for the BBM that will bring support to the operating system. 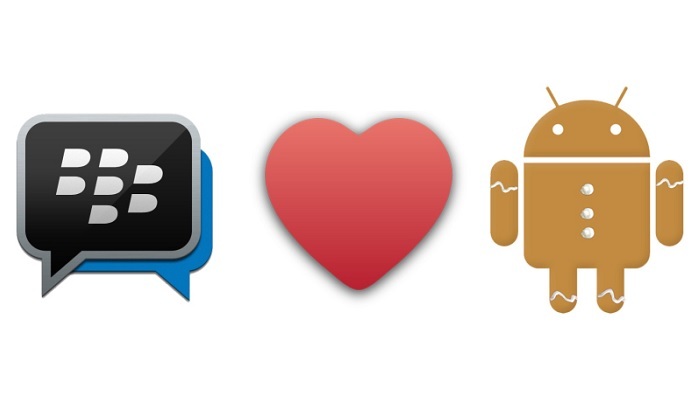 As usual, the test version of the BBM for Android application with Gingerbread support has been leaked. The folks at N4BB managed to get hold of the apk file of the updated BBM for Android with Gingerbread support. In the updated version as per N4BB, there are a few other changes as well, including a few tweaks in the UI, “Find My Friends” feature on BBM and a few more. Additionally, there are no BBM Channels or BBM Voice in this update, so it seems we might have to wait a little longer to enjoy those features. It’s nothing new, if you refresh your memory, the official BBM for Android was also leaked weeks before launch, causing a delay in the launch of the application as it was installed on way too many devices, unofficially. Let’s just hope it doesn’t create big fuss this time, and the folks at Blackberry launches it on time. As of now, there’s no word on when Blackberry will push the update, but if you don’t mind trying out the unofficial app, take a look at N4BB for the download — we’d suggest you wait for it to come out officially, rest is up to you and we are not responsible for any unexpected event.